Race participants should be informed of the rules and regulations before the start of the race. Rules and regulations must be made available to all participants. 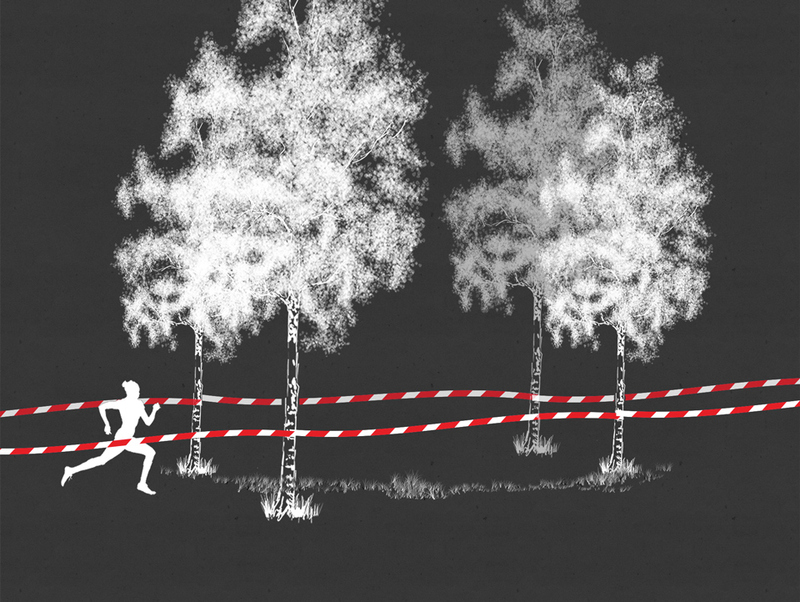 All participation in Uppsala Survival Run is at your own risk. Neither the race organizers, officials or board members of Uppsala Survival can be held responsible for any personal injury, loss or damage of personal equipment and belongings. At all times the race participant is responsible to follow general traffic rules. Traffic on public roads has priority. All race participants must start with the supplied race bracelet. If a race participant fail to complete an obstacle, the bracelet is to be removed (read more below at paragraph 8 – penalty times). Participants must wear the bracelet visibly throughout the race. 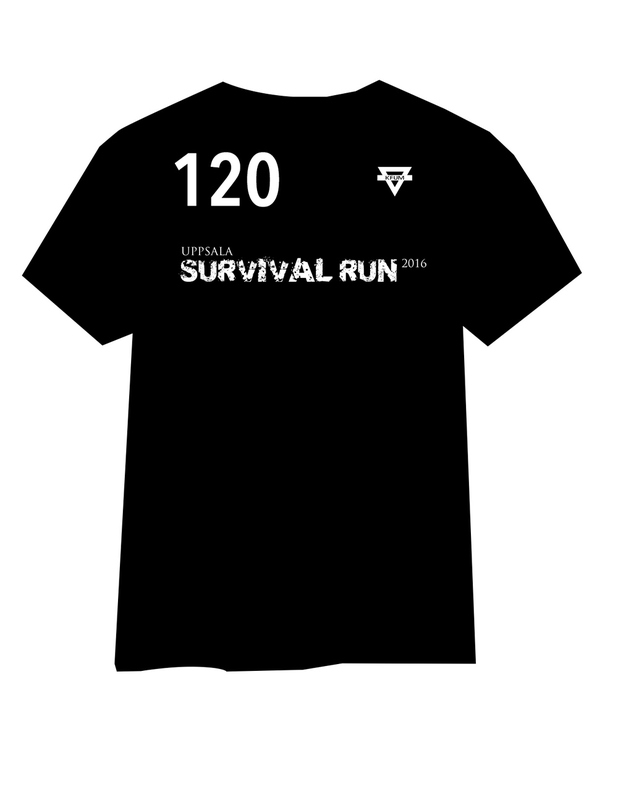 Race participants must wear the official race t-shirt with the unique start number visible at all times (This year’s t-shirt will be green). 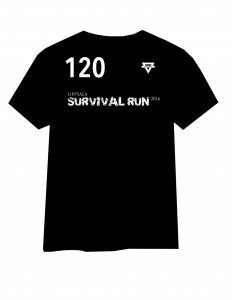 Any long sleeved shirts or other apparel must be worn beneath the official race t-shirt. Failure to comply will result in disqualification. The race track will be clearly marked with tape. Any deviation from the marked track will result in disqualification. Some parts of obstacles will be marked with tape to show what parts that cannot be used to complete the obstacle. Using the cordoned off parts of the obstacle will qualify as a failed attempt and you will have to get off and try again from the start of the obstacle. 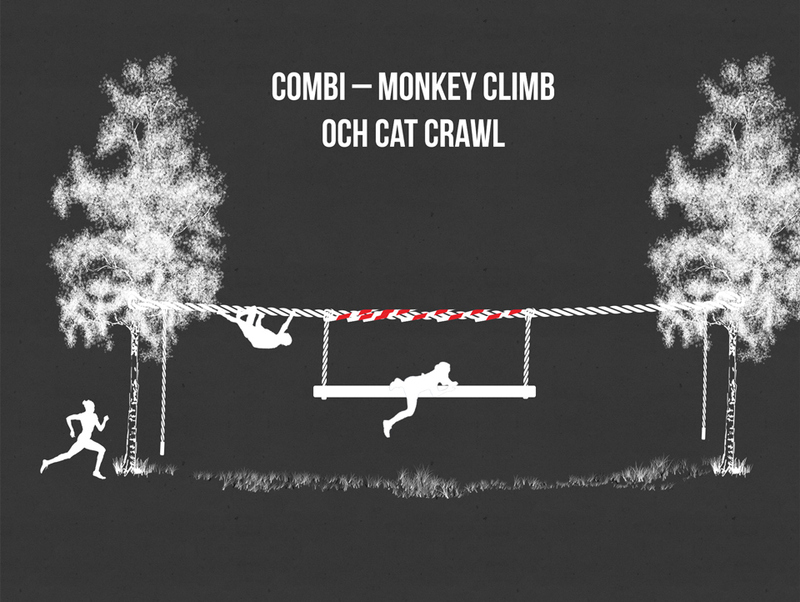 All race participants must complete the entire track without any physical aid from anyone else (verbal instruction is however allowed and one of the purposes of our obstacle officials). 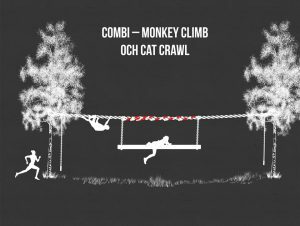 Participants are allowed an infinite amount of attempts on all obstacles. Should you however decide to give up and carry on you will have to take off your bracelet and you will receive a penalty time of 2 hours – all failed obstacles will result in 2 hours time penalty each (example: if you fail to complete three obstacles, your total penalty time will be 6 hours). Accepting physical aid to complete an obstacle results in disqualification. Participants may, if possible, start at a late arrival. However there will be no time compensation for the late start. All obstacles are designed to facilitate multiple race participants completing the obstacle at the same time. However if an obstacle were to be fully occupied you will not get any time compensation. Instructions given from officials, recognizable by their safety vests or similar, must always be followed. Failure to comply results in disqualification. To deliberately obstruct or impede other race participants will result in disqualification. All race participants are obligated to alert the nearest race official about any accidents or injuries that might have occurred. To deliberately inflict damage on obstacles, trees or other people’s property is strictly forbidden and will result in immediate disqualification and possibly be reported to the authorities. During the race, it is forbidden to wear shoes equipped with metal spikes or similar that can inflict damage on obstacles, trees or other people. Failure to comply will result in disqualification. The final call on what kind of shoes that is deemed approved lies with the race organization. If you have any uncertainties whether or not your shoes would be approved, please contact the race organization before the race day. Race participants may not wear weight vests, backpacks or similar potentially obtrusive equipments that could inflict damage on the participants or race track. The final call on what type of extra equipment is deemed approved lies with the race organization. If you have any uncertainties whether or not your shoes would be approved, please contact the race organization before the race day. It is strictly forbidden to use any illegal performance enhancing substances. This results in disqualification. There is a simple survival etiquette (however this is not a rule per se) that says faster runners have priority at obstacles. This requires some sensitivity among race participants to avoid unnecessary congestion at obstacles. When approaching an obstacle that you feel uncertain of how to complete or if you are able to complete it in a swift manner. Take a look behind you and allow for any faster race participants to pass you before you enter the obstacle. 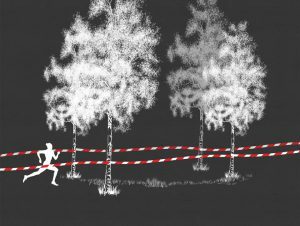 If a faster runner catches up behind you whilst in the middle of climbing an obstacle it is good manner to allow for the faster runner(climber) to pass if possible. This is a common practice on larger combination obstacles. A tip is take a step to the side and maybe sit on a log where possible.